Texas health officials are investigating a case of whooping cough at the state Capitol — an incident that is triggering discussions about vaccine policies in the state. 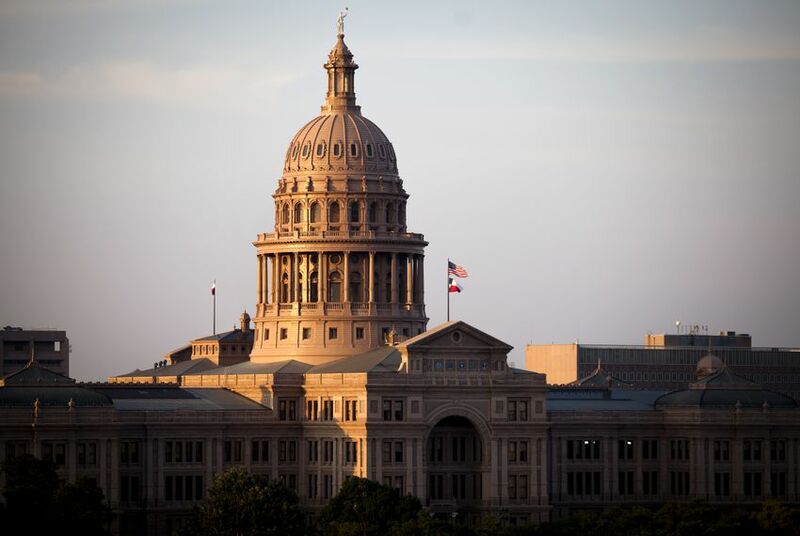 The Texas Department of State Health Services alerted members of the Legislature on Friday that lawmakers might have been exposed to the infection regardless of their immunization status if they were working at the Capitol the previous day. A follow-up email to legislators by House Administration said the person with the highly contagious infection was a page on the House floor. Members were encouraged to contact their doctors if they felt they might be experiencing symptoms associated with the disease. “Further updates will be provided to House membership and staff as it becomes available,” the email read. A spokeswoman for the state health department said she could not discuss the investigation. Whooping cough spreads from person to person typically by coughing, sneezing or being in close proximity to someone who has the disease. Infected people are most contagious up to two weeks after the cough begins. The Centers for Disease Control and Prevention recommends whooping cough vaccination for all babies and children, preteens and teens and pregnant women. But there is no vaccine requirement for House members. On Friday afternoon, state Rep. Sarah Davis, R-Houston, who has long supported vaccine requirements, suggested in a tweet that House pages be required to show proof of vaccination. And on the House floor Monday, state Rep. Charlie Geren, R-Fort Worth, chairman of the House Administration Committee, said the nurses at the Capitol were offering vaccinations to interested members. Still, some members feared that those at the highest risk for getting whooping cough — infants and those who are immunocompromised — were also the least likely to be protected at the crowded Capitol. The public health community is still dealing with the fallout from a widely debunked study linking vaccines to autism that continues to fuel fear about side effects and hesitancy about how well vaccines work. Texas parents are allowed to use medical and “conscientious exemptions” to keep their children from being vaccinated. Outbreaks of diseases of the past like measles, mumps and whooping cough have resurfaced nationwide among people who are unvaccinated. Public health experts say “herd immunity” is important because if not enough people are vaccinated, resistance to a disease can be compromised. “Everyone here that’s elected is an adult who can make their own decisions about what they want to do about their own medical care,” said state Rep. Gene Wu, D-Houston, who’s authoring a bill this session requiring long-term care facilities to establish an immunization rate-tracking system of its employees. “Our main concern are the children who don’t have the ability to make those decisions and be able to control their own medical destiny. This session, a handful of anti-vaccine bills have been filed, including one by state Rep. Matt Krause, R-Fort Worth, that would make it easier to submit vaccine exemptions. Meanwhile, an amendment filed by Rep. Michelle Beckley, D-Carrollton, for the House budget — set to be debated Wednesday — would require the Department of State Health Services to conduct a study on vaccination rates among child care facilities. Democratic state Rep. Erin Zwiener of Driftwood, meanwhile, who often brings her 9-month-old daughter, Lark, to the Capitol, said she visited with her pediatrician immediately after hearing the news Friday and canceled a scheduled playdate even though she and Lark have been vaccinated against whooping cough. She said she’s unsure if Friday’s notice will change the vaccination debate at the Capitol, but she’s hopeful the Legislature will no longer see vaccine requirements as divisive issue. “Now that we as a body have been touched by the worry of an exposure to something easily preventable by vaccines, I hope we can move past capitalizing on people’s fears politically and instead try to do what’s best for the health of all Texans,” she said.